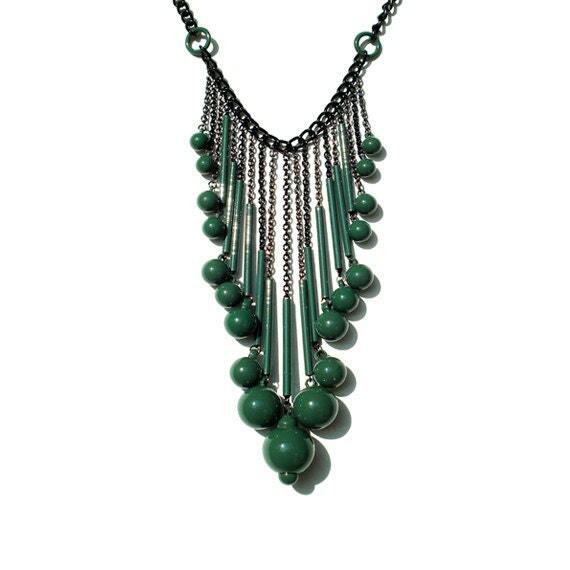 Make Chic Statement with this bubble drop necklace! 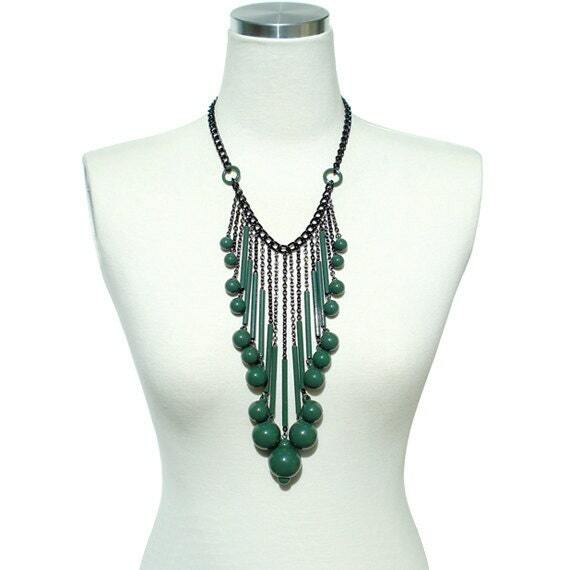 This statement drop necklace is simply yet tastefully put together. 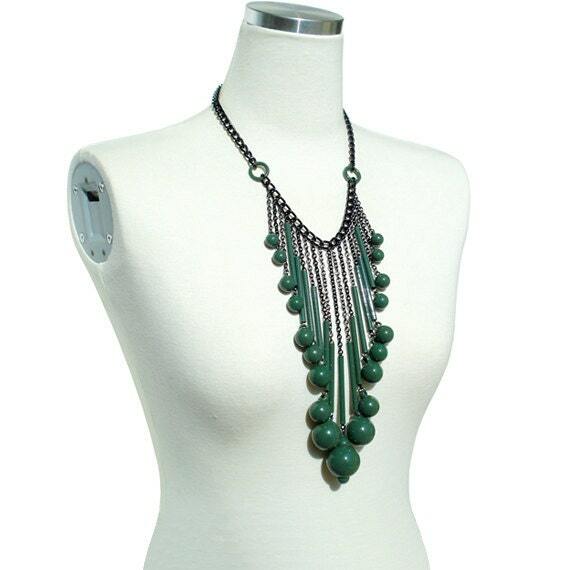 Multi Strand Enameled Green Bubbles Drops down and will Sway with you!